Posted by fliere on Tuesday, August 14, 2018 in Events, News. 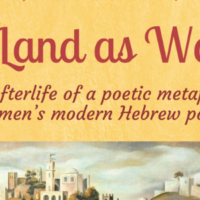 The event, moderated by Jewish Studies director Prof. Allison Schachter, will take place the evening of Thursday, November 8 at 7pm in the Central Library Community Room. This event is co-sponsored by the Jewish Federation of Nashville and Middle Tennessee, E. Bronson Ingram College, the Department of Political Science, and the Program in American Studies. Jewish Studies is an academic program at the College of Arts and Science at Vanderbilt University that provides students with a wide array of approaches to Jewish experiences, and asks larger questions about cultural and religious identity, minority experience, and diasporic community. 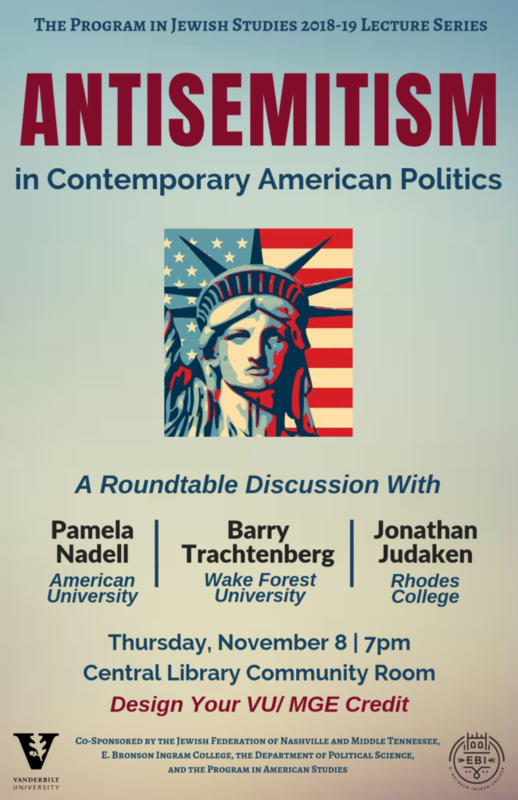 For more information contact jewishstudies@vanderbilt.edu.